It looks like CityVille will soon take a cue from its sister Zynga game, Cafe World, with this upcoming Timed Goal, Race Invaders. Unlike Timed Goals in games like FrontierVille, this unreleased Goal will reward you with better rewards the faster you complete it. Alright, so this Goal might take a while, but here's a way to make it happen fast. First, you'll need at least eight friends to send those Tour Buses to, but you should have at least 20 active friends regardless to complete this and other Goals. Now that you have the resources, accept the Goal and plant those 50 Watermelons. This will cost a total of 1,800 Coins and take at least four hours to harvest--make space if you have to in order to plant them all at once. Do you think that you'll be able to complete this Goal in the allotted time to get that new Business? 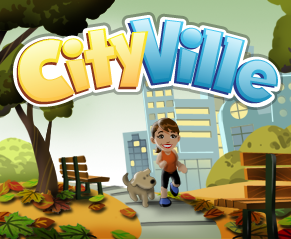 What do you think of Timed Goals in CityVille? Sound off in the comments. Add Comment.